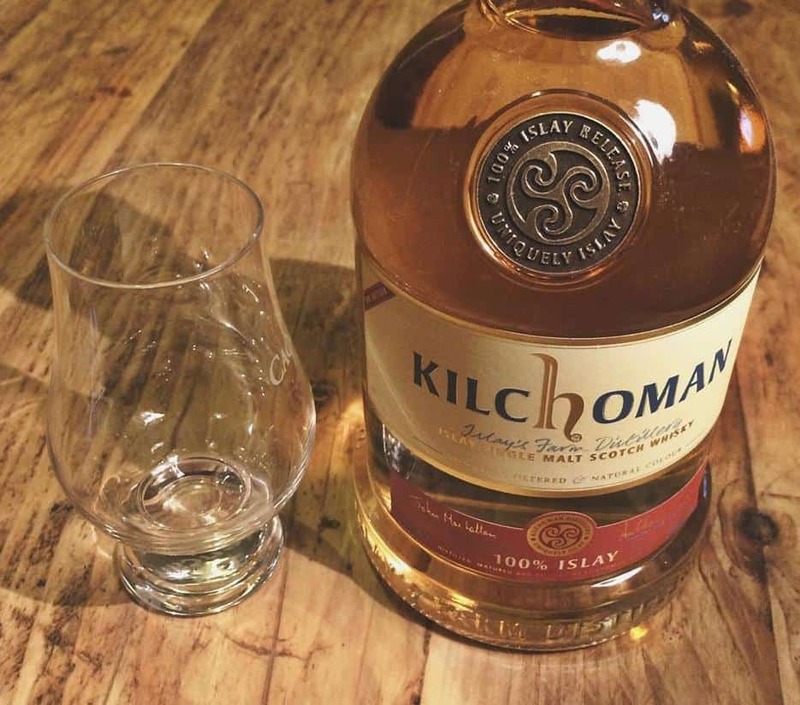 When I visited Islay earlier this year, one of the distilleries I headed to – and one of the first I toured – was Kilchoman. It’s a little remote to get to even for Islay – tucked away on a farm – but well worth the trip. It’s quite unlike the others as it’s a very, very small-scale operation, and all the more charming because of that. While I was there, I picked up a bottle of Kilchoman’s third release of 100% Islay. For this bottle, the whisky is completely – and they mean 100% – a product of Islay. The barley is grown, distilled, matured and finally bottled at Kilchoman before being aged in Buffalo Trace (yes, that’s the ‘not quite on Islay’ Buffalo Trace… ahem…) bourbon barrels for over 4 years. 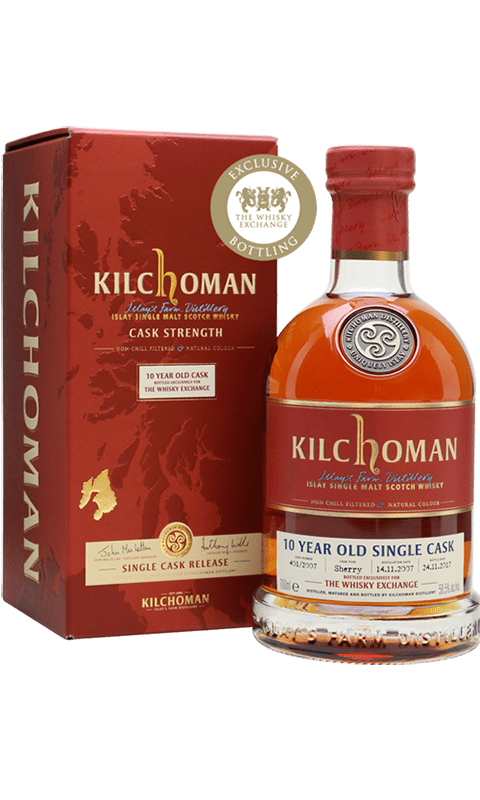 The Kilchoman 100% Islay 3rd Edition is bottled at 50% and is available for around £60. So, is that too pricey for such a young whisky? Colour: pale. Ikea pine. On the nose: pretty mild at first. This is something that needs patience to open up. The peat is lovely and sweet; there’s citrus notes, a salty sea breeze. This is nothing out of the ordinary, and yet when these flavours are done so well, it’s immensely enjoyable. In the mouth: now, I’m a texture man, and this whisky is a classy one on that front. 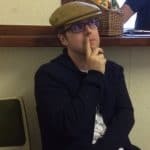 There’s a kind of heavy, viscous quality – quite surprising to be honest. All of that nose comes through as expected and the same flavours are there. Perhaps with green tea, some elegant, light honey. The peat has a superb Laphroaig sweetness to it. In fact, this isn’t all that many shades away from their Quarter Cask, of which I’m a fan. The smoke lingers in a rather unusual way, as if you’ve held a little cigar smoke in your gob. But it’s gentle and admirable. The only thing that lets it down in my opinion is a very, very faint bitterness right at the end. Some might go for that kind of thing, however, and it disappears towards the end of the glass. I suppose with this whisky you’re really looking at a few things. This is a complete bottle of Islay – from top to tail. Close your eyes and with this you’re whisked away to a remote Scottish island, drinking the landscape. This is also a calling card for a young distillery as well as a triumph of the small-scale operation. That’s what you’re really buying here and it’s absolutely worth parting cash for. A bottle of this was one of my graduation presents and yes, it really is a wonderful whisky – that note of bitterness is rather pleasant, I think; it adds a certain je ne sais quoi. What a great present to get! Still shudder at the memory of that final bit of road to Kilchoman. The whiskies I’ve tasted from this distillery show great promise for such a young age. £60 is about right; some of their other releases have been drifting towards £80 which is too much I feel. 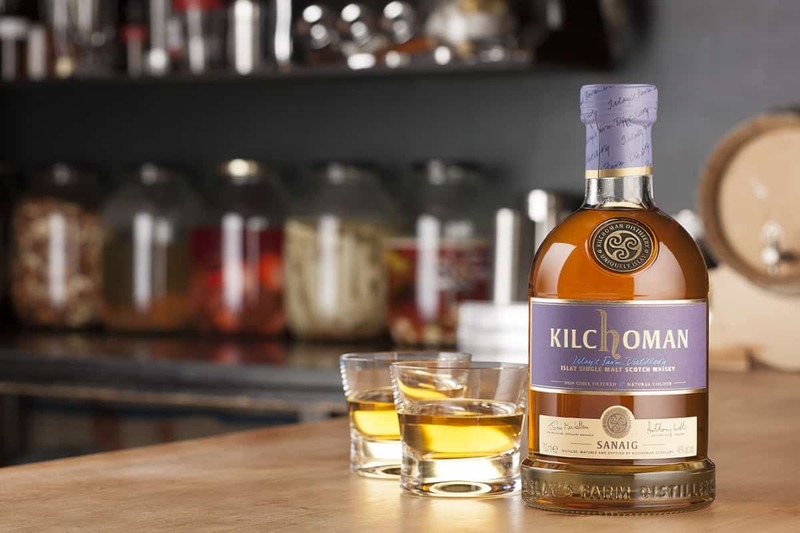 Interesting the 2nd Kilchoman Club release went on sale on Monday and is still available. £40 I’d snap it up but not £75, sorry no way. The Royal Mile Whiskies exclusive single cask is a great dram as well. Ah, it’s a lovely journey. We went up to the coast first before nipping back to the distillery for the tour. That’s the nicest bit of beach I’ve seen. Yes, I think you’re right about the pricing structure. These are good whiskies, but £75 is asking a lot for an Islay, especially given some of the competition. For a while Kilchoman was attracting the collector brigade swooping on every release regardless of quality. An endless parade of single cask releases for retailers..